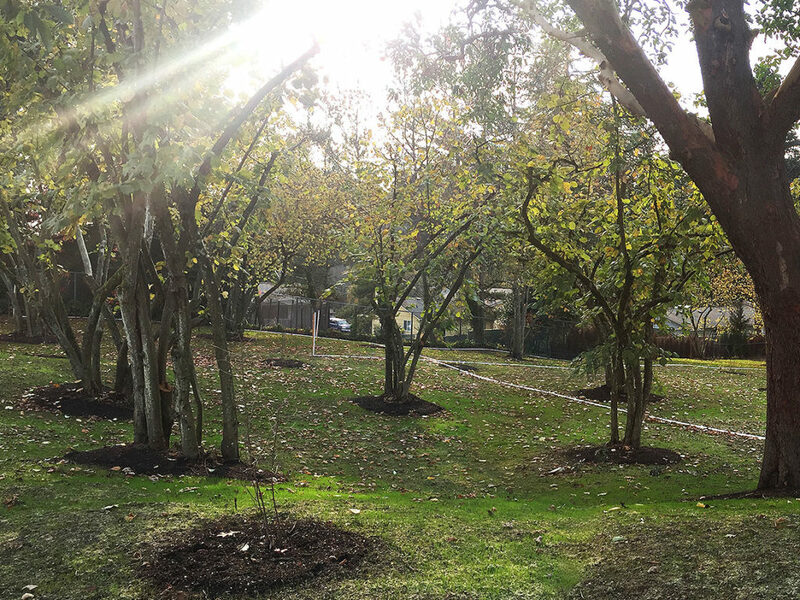 Home to a filbert orchard for much of the last century, these cherished trees have persisted, coexisted, and outlasted an elementary school and then a regional court on the site and are now the heart of a newly reimagined park in South Bellevue! 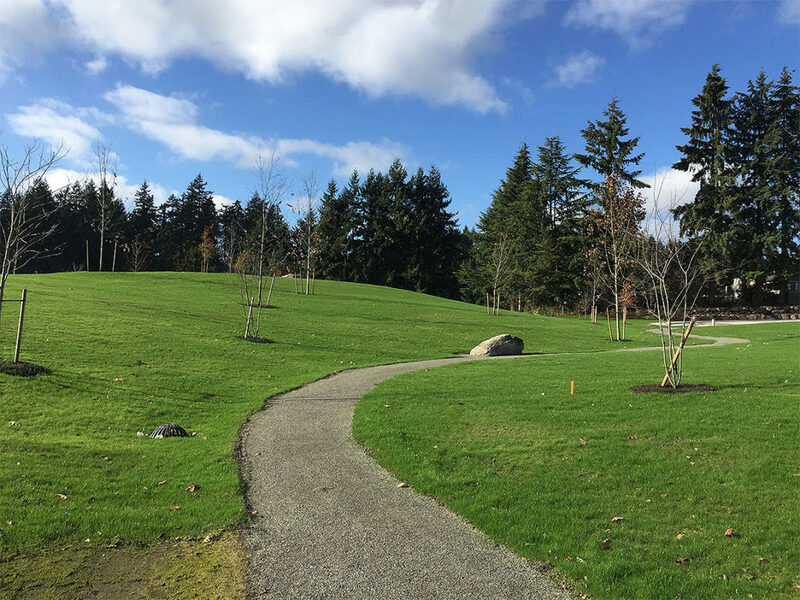 The park features a Great Lawn, loop paths, sun slopes, informal play meadows and hills, an awesome playground, picnic shelters, barbecues, ponds, and a viewpoint overlooking the in-progress East Link Light Rail line. On a clear day, there’s an amazing view of Mt Rainier—check it out from a picnic shelter or, if you’re looking for a more contemplative vantage, perch on the boulder on the big hill. 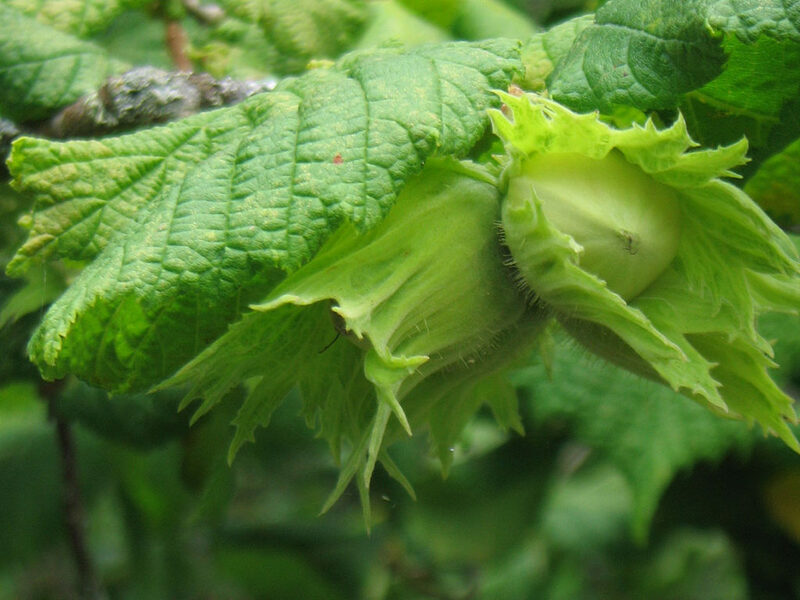 The design is shaped around historic filberts preserved on site, with baby filberts infilling gaps in the groves to carry the historic use into the future. Our work began as a master plan in 2007, updated in 2013 to incorporate Sound Transit’s Light Rail (now in progress!). The site had many challenges and opportunities—steep slopes, historic trees, poor drainage. 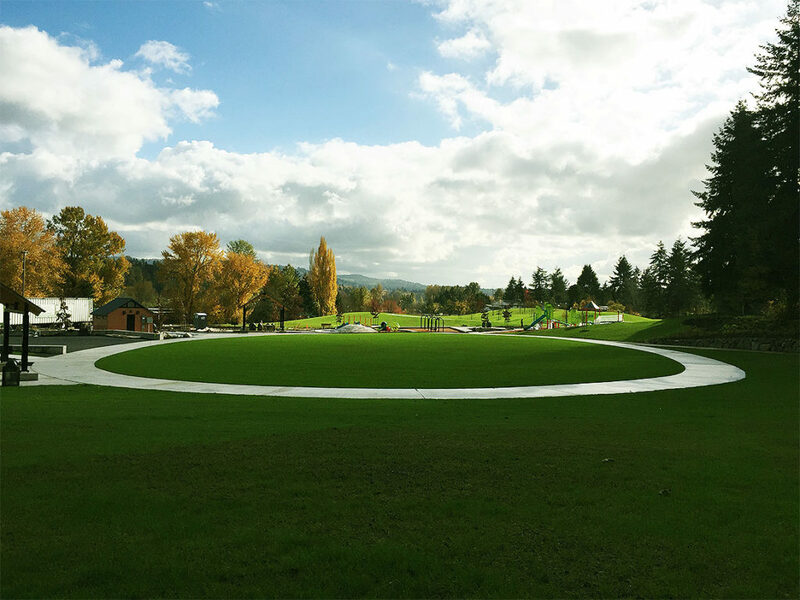 An incredibly caring and vocal community guided the park’s look, feel, and programming to create a gently contoured landscape with level meadows, rolling hills, and diverse programming. 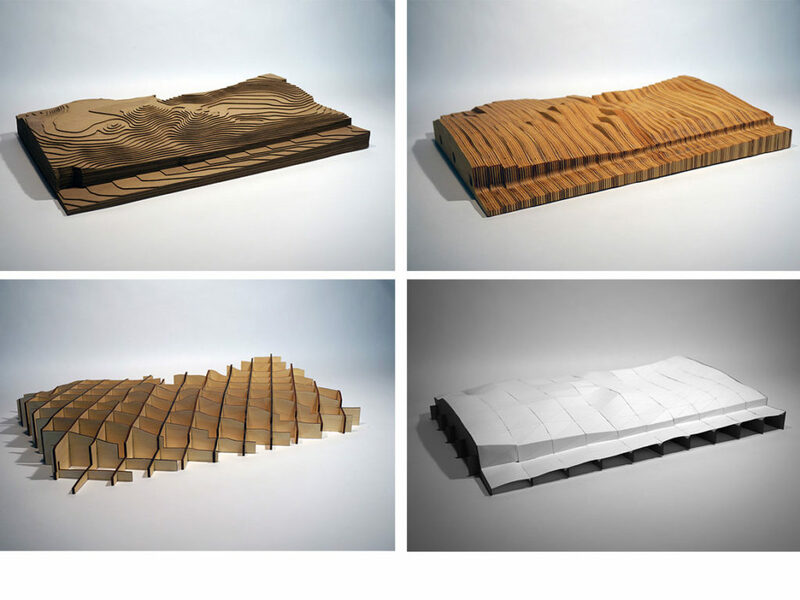 A series of topographic models defined where low hills should shelter meadow areas and how the former steep grading could become a terraced invitation to enter the park. 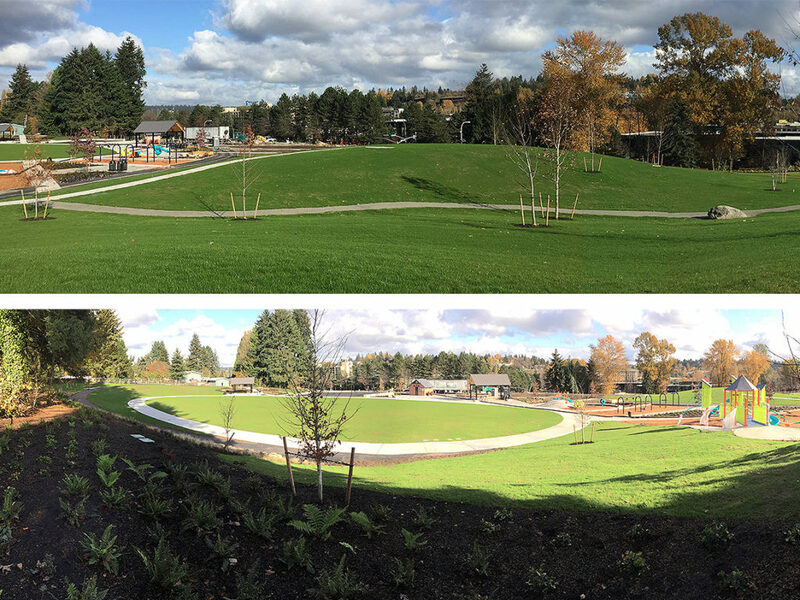 We are so excited to see this evolution into a great neighborhood park—and can’t wait to share it with you! Come visit in 2019! Washington Park Arboretum Trail Bridges and Retaining Walls Construction. Arboretum Loop Trail bridges and retaining walls are being installed.